It it me the first or am I dreaming? 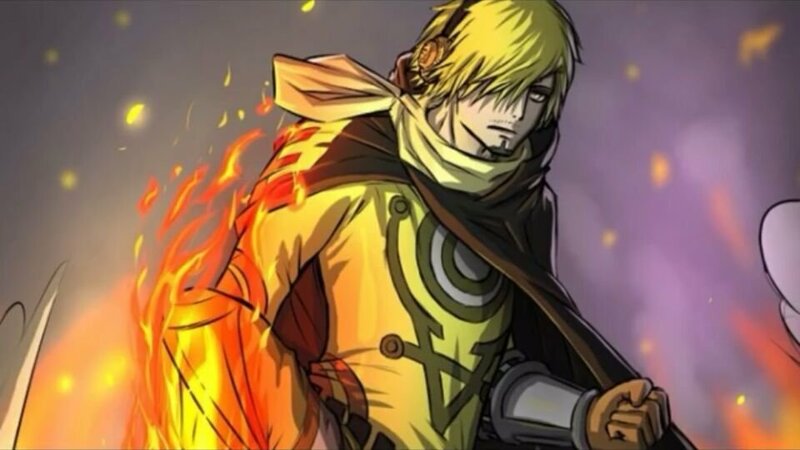 The only thing that has impressed me from sanji is his durability. He ate the human human fruit mythical model daibutsu. A zoan type like choppers. you think kaido or marine can stop her eh?i thought we are already learn from 80 WCI chapters those wasted for running and hiding from her. and you have no idea about king’s pteranodon ability but jump the gun say it’s lamer than some fruit. Don’t troll with us !!! Big mum landed in wano already! BM herself, or just her lackeys? It seems like an average chapter. the more crap the df the more he excel in other abilities. let see marco using sword or mogura. In the cover we can see Uroge and Cracker riding dolphins. – Big Mom Pirates arrives to Wanokuni the same way Luffy did. – However, Big Mom ship fires to the sea peaks (Perospero Smoothie and Daifuku destroy some of them too) and they use carps to navigate through the sea..
– We can’t see Katakuri, but we see Mont d Or or Flampe. – When Big Mom ship arrives at the peak of the waterfall, King arrive in dinosaur form and shot to the carps. – Big Mom ship can’t reach the peak of the waterfall and fall into the sea. We can see Big Mom sinking into the sea. – Kaido celebrates King attack. – Law, Usopp, Franky and Sanji try to escape from the area. – Page One is destroying all Soba stands, so he’s going to stop him. – Sanji kicks Page One but he’s OK.
– At the end of the chapter, Sanji shows the Raid Suit and he wonders if he should use it. easy.i dont blame you.i blame the spoiler maker.i know you took it from oj. Glad the spoilers were fake. This seems legit but doesnt tell much. BM pirates in the house! Man, this is hyping. Consequences will be huge. Am I the only one hoping for big mom and Kaido vs the worst generation in an all out war ? wait so this spoiler is fake too? Are there any spoilers at all? Perospero, Smoothie and Daifuku New Sweet Commanders??? well, atleast it doesnt say he will use it for sure, but after “attacking” Page One without any damage it´s pretty much likely.